Robbie Williams called his second-session display "horrendous" after his first-round exit from the World Championship at the Crucible. The world number 58 impressed as he went 5-4 up on Stuart Bingham but won just two more frames in the evening session as he crashed out 10-7. "It was horrendous," said the 28-year-old from Merseyside. "In the first session I played well, I was comfortable and surprised myself but the second was the total opposite." 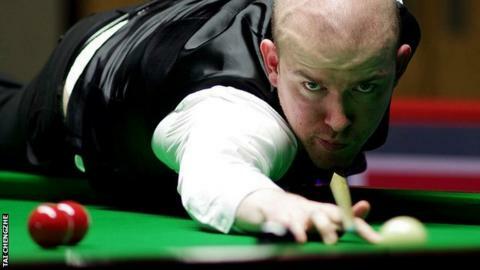 Williams was pleased with the improvement he showed in his second Crucible appearance, having been outclassed 10-2 last year by the 2010 world champion Neil Robertson. "I didn't really enjoy it last time but I enjoyed playing this time so I have to take the positives," Williams added. "But it's obviously really disappointing to go and perform like that in the second session. "I just couldn't find the concentration. Right from frame one, I was missing stupid balls that I shouldn't have missed and I let it get on top of me. "When you lose your concentration in an environment like that it is very difficult to get it back. It is something to work on. "It's all about progression. It's only been my second year here so I still have a lot of progression still to make, but it's pleasing to know I can play in this environment. "I have to get back here again next year and go again. My whole season hasn't been very good but results finally started to come my way for the qualifiers."